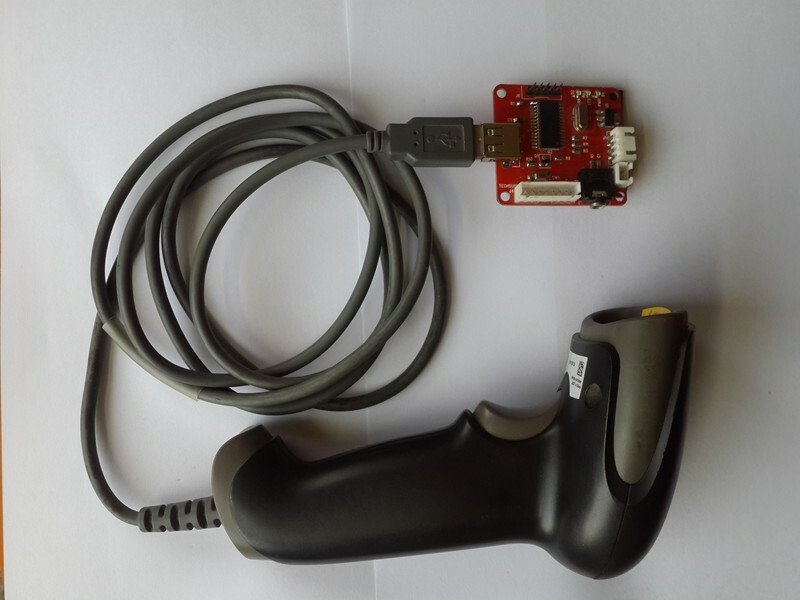 The product is a USB Host which accepts any USB Barcode Scanner at its USB port and decodes the barcode reading. The data is output as serial TTL UART at 9600 baud rate for easy interfacing with various applications. The output is suitable for 3V or 5V level microcontroller applications. external microcontroller for polling or interrupt to process the data from board. Note: RX-IN pin and other pins are not used in this application, leave it floating. Below you can see, we have provided holes for mounting header of 2.54mm pitch if required. Data is sent out only when any barcode is read. Please note, This product does not include barcode scanner. 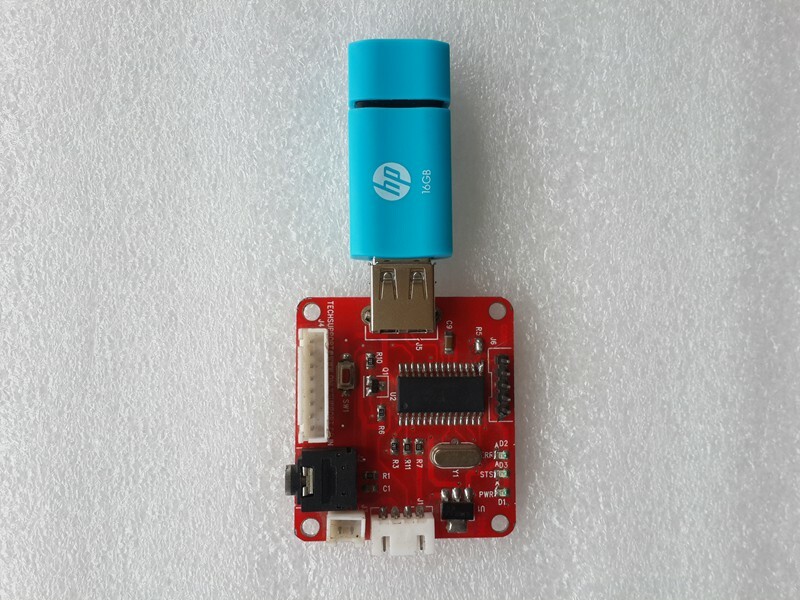 Its only serial output decoder board for any USB barcode scanners. To Interfacing with PC's Serial port, which has RS232 level(+/-12V) the output from board needs to be converted to RS232 level by using MAX232 IC. Then the data is connected to PC's RS232 port. Board+MAX232 will need external +5V power supply and ground has to be common between both boards. One advantage of using USB to interface is you can use power supply from USB itself. 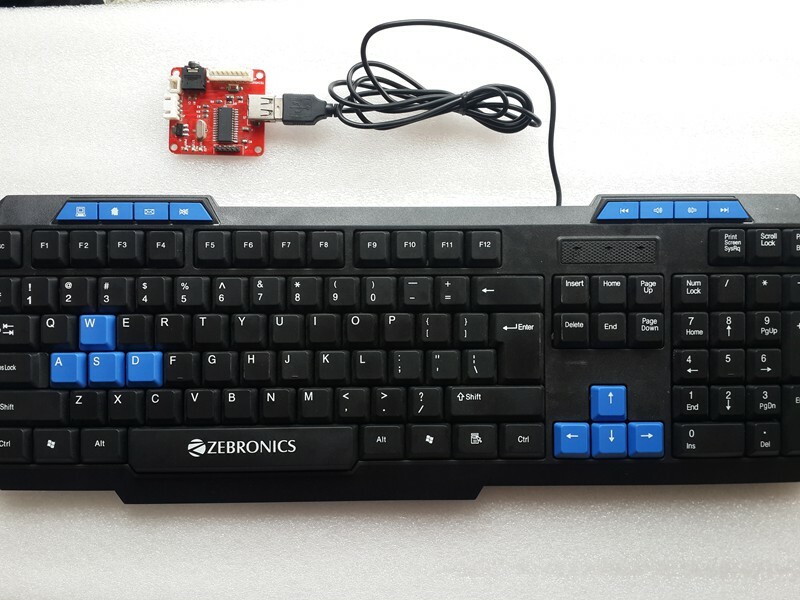 The product is a USB Host which accepts any USB Keyboard at its USB port and decodes the button presses. The data is output as serial TTL UART at 9600 baud rate for easy interfacing with various applications. The output is suitable for 3V or 5V level microcontroller applications. Apart from standard full size keyboard, The decoder also supports custom made or small numeric keypads. DET - Idle Low, Goes High when keyboard activity happens. Goes low again after data transfer at TX pin is finished. Useful for input to external microcontroller for polling or interrupt to process the data from board. 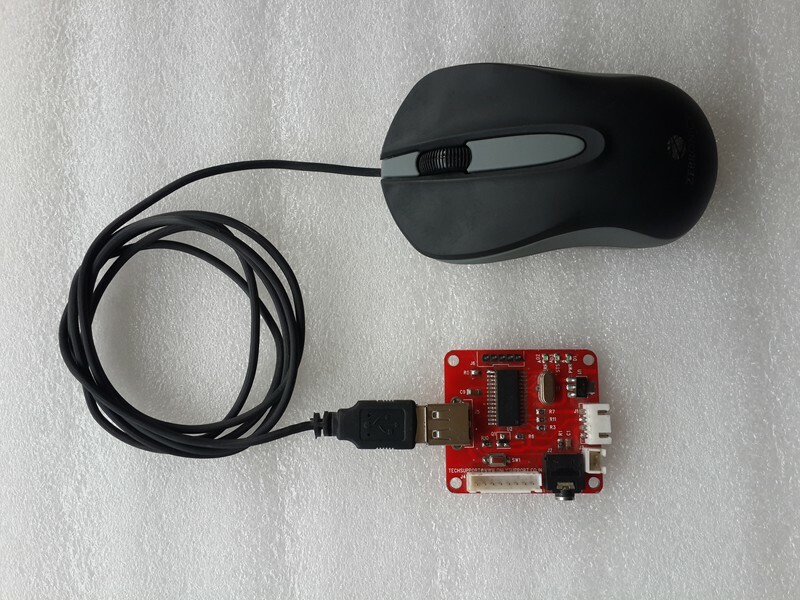 The product is a USB Host which accepts any USB Mouse at its USB port and decodes the movement and button presses including scroll wheel. The data is output as serial TTL UART at 9600 baud rate for easy interfacing with various applications. The output is suitable for 3V or 5V level microcontroller applications. DET - Idle Low, Goes High when mouse activity happens and date is ready to be sent. Goes low again after data transfer at TX pin is finished. Useful for input to external microcontroller for polling or interrupt to process the data from board. Simple Commands like DOS to read/write files.